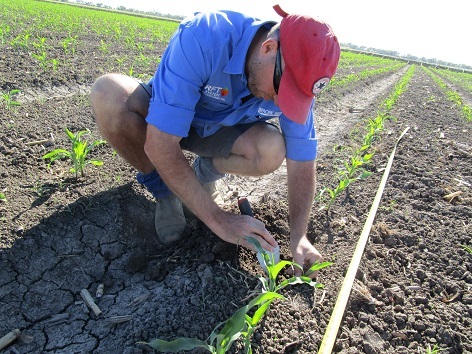 With limited sorghum seed availability, Pacific Seeds summer grain agronomist Trevor Philp warns growers to make sure conditions are right for planting before sowing. SORGHUM seed supplies are under pressure across the northern farming zone as farmers gear up for a big planting on the back of recent rains and a meagre winter crop. This season’s grain sorghum plant has the potential to be one of the largest in recent times due to handy starting rains, high commodity prices and a large area of fallow ground following the dry winter. There has been unprecedented demand for planting seed across the grain sorghum growing regions, with many rural resellers purchasing stock in anticipation of widespread planting. Pacific Seeds managing director, Barry Croker, said despite having above average production and supplies, many hybrids were now in a ‘sold out’ position with rural retailers now taking delivery of their stock. 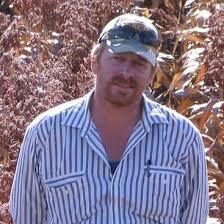 Mr Croker said the sheer volume of demand for seed over early October had been unusual for this time of year. He said Pacific Seeds routinely produced more seed than was required by the market, however this year despite an increase in production of key hybrids demand had outstripped supply. “Over the past five summers we have produced more seed than sales, but this year demand for grain sorghum seed has been huge following such a dry winter,” he said. Mr Croker said the lead time for hybrid seed to be put into bags and ready for farmers to plant could be one to two years even for existing products and using contra season production in the Ord irrigation area of Western Australia. “The seed production crops for this summer’s grain sorghum hybrids began in October 2017,” he said. Mr Croker said growers seeking seed should speak with their rural retailers regarding seed availability as planting had not yet started in many areas. “Plantings to date have been limited and many agents have purchased and taken delivery of seed in anticipation of planting rain and farmer orders, so we recommend you contact your rural retailer about their supplies of summer seed,” he said. GenTech Seeds grain sorghum lead, Rob Crothers, said the opportunity for a big planting had led to high demand on sorghum seed this year. “GenTech is set to deliver considerably more sorghum seed to the industry this year than we have in the last two years combined,” he said. “It is not a supply issue for us, it is just an excess of demand due to the national feed shortage and the drought on the eastern seaboard. 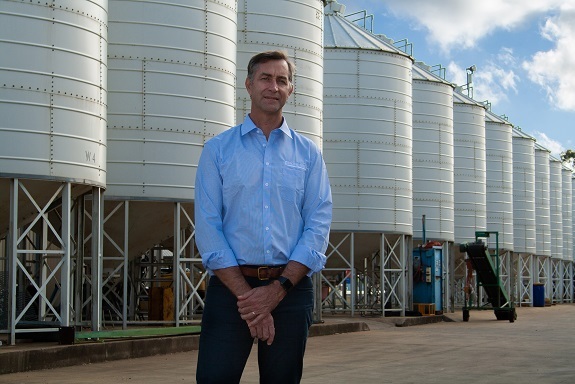 AgForce Queensland Grains president-elect, Brendan Taylor, said parts of the Darling Downs and Central Queensland had had “tremendous rain” for the month so far which was just what growers needed to get summer crop planting underway. “It is as good a start as we could hope for,” he said. “There is an odd crop already in on the Downs. Some people have deep sown sorghum two to three weeks ago. It will in business and going fine now. “Around Goondiwindi there is an odd pocket planted where they have had some rain earlier. Mr Taylor said growers would be on the lookout for a flush of weeds following the rains. “It is the wettest it’s been here since February now, and there will be a massive germination of summer weeds. We will have to wait for them to stick their heads out. Mr Taylor said while the rain was a great start to the summer cropping season, a lot would depend on what the weather did over coming months. “There will be places that will plant, but haven’t got much moisture in the soil profile, so they will be wanting more rain,” he said. With the sorghum seed supply expected to be tight, Pacific Seeds summer grain agronomist Trevor Philp warned growers to make sure conditions were right for planting before putting seed in the ground. “Seed quality is excellent this year and we really want growers to make sure they get the most from the 2018-19 season,” Mr Philp said. “With a small break in the weather after such a long period of dry the temptation is always there to get a crop in the ground. “However, given the expected amount of ground going to sorghum this summer growers need to be sure they do not over estimate soil moisture and get a reduced crop establishment as there will not be seed available of their hybrid of choice for a replant down the track.